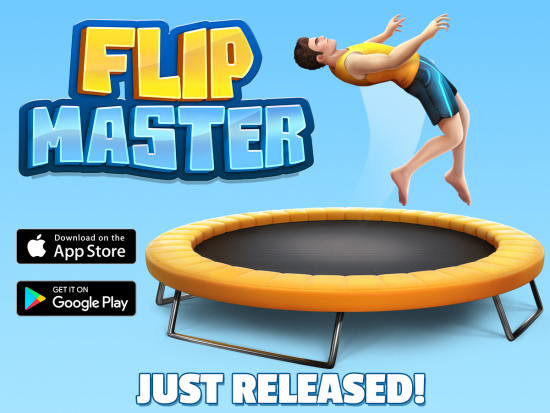 MotionVolt Games, the creator of the famous Flip Diving game, is thrilled to present an ultimate trampoline game - Flip Master, available now on iOS and Android worldwide. 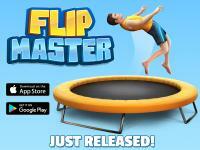 Developed internally by MotionVolt Games and published by Miniclip, Flip Master is the second game in ‘Flip’ saga, that has been already downloaded over 50 million times at App Store and Google Play and gathering more downloads rapidly every day. Miniclip is a world-leading digital games company that creates, develops and publishes on Mobile, Web and Social platforms.